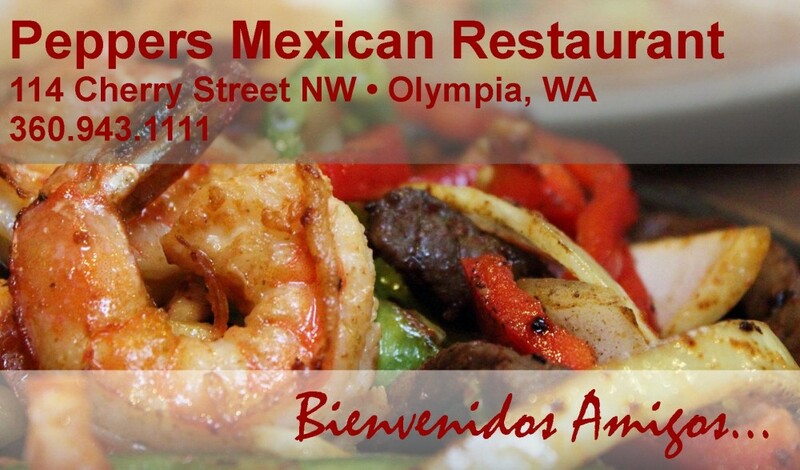 Pepper’s is located in downtown Olympia, less than a block from City Hall. If you live in the Olympia area, take your quickest route downtown be it State Street or 4th Ave. If you are traveling west bound on State Street, take a left onto Cherry Street and we are on the left. If you are traveling east bound on 4th Ave., take a left on Cherry Street and we are on the right! Can’t miss us! FYI, front parking is metered Mon.-Fri. from 8am to 5pm. Be sure to have some spare change with you. From I-5 Northbound: Take the exit toward Port of Olympia. Merge onto 14th Ave SE. Turn right onto Henderson Blvd. SE. Henderson Blvd SE turns left and becomes Plum St SE. Turn Left onto 5th Ave SE. Take the second right onto Cherry St SE. We are located on the right. From I-5 Southbound: Take exit 105 toward Port of Olympia. Merge onto Plum St SE. Turn left onto 5th Ave SE. Take the second right onto Cherry Street. we are located on the right.